Though we often think of reading as a solitary activity, histories of reading demonstrate that it is in fact a deeply communal practice—structured and encouraged interpersonally by family and friends and fostered institutionally through formal education. In the twenty-first century, the practice of reading continues to be an expression of our associations and of our desire to forge particular communities, both imagined and real—communities of fellow feminists, foodies, literary connoisseurs, history buffs, fantasy fans, and romance readers to name a few. Of course, this is not to say that the simple act of reading is always an explicit or even conscious act of identification with a particular community but rather to emphasize that just as readers derive complex meaning from the literature they choose, that meaning can in turn be circumscribed by readers’ aspirations for particular forms of affiliation. Often thought of as a solitary activity, the practice of reading can in fact encode the complex politics of community formation. 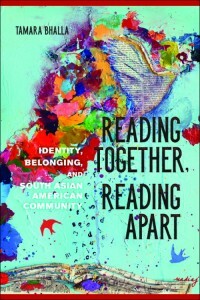 Engagement with literary culture represents a particularly integral facet of identity formation—and expresses of a sense of belonging—within the South Asian diaspora in the United States. Tamara Bhalla blends a case study with literary and textual analysis to illuminate this phenomenon. Her fascinating investigation considers institutions from literary reviews to the marketplace to social media and other technologies, as well as traditional forms of literary discussion like book clubs and academic criticism. Throughout, Bhalla questions how her subjects’ circumstances, desires, and shared race and class, limit the values they ascribe to reading. 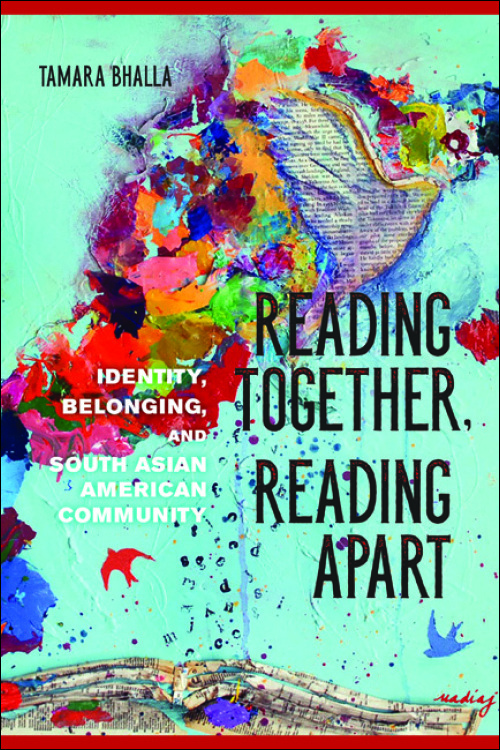 She also examines how ideology circulating around a body of literature or a self-selected, imagined community of readers shapes reading itself and influences South Asians’ powerful, if contradictory, relationship with ideals of cultural authenticity. Insightful and provocative, Reading Together, Reading Apart builds on practical fieldwork coupled with theoretical precision to reveal the surprising complexity of reading as a social practice.